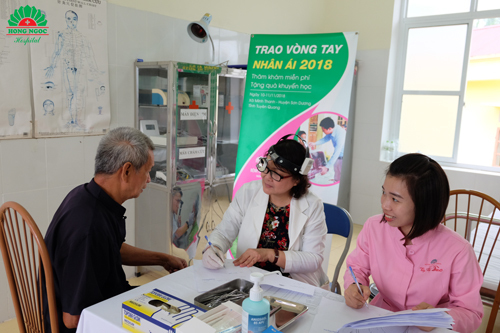 From 10 November to 11 November 2018, within the framework of Healing up Hands 2018, Hong Ngoc General Hospital’s team of doctors examined and offered medications to nearly 700 people in Minh Thanh commune, Son Duong district, Tuyen Quang province. 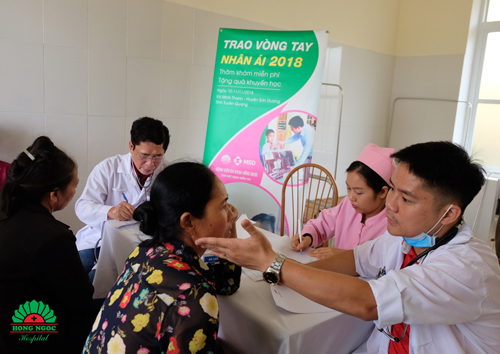 The Healing up Hands 2018 consisted of 2 main activities: charity examination with medicine provision and gift-giving activity for encouraging to students at Minh Thanh primary and secondary schools. Minh Thanh is one of the communes in the safety zone – the capital of Liberated Area (controlled by People’s Army of Vietnam during the Viet – France war). Proud of living in the revolutionary land, authorities and the Communist Party of Minh Thanh commune has overcome numerous challenges to develop their hometown. The commune health station has been equipped with necessary facilities and medical devices. However, the station’s staff has not been qualified to provide enough health care services to locals. Many people presenting at the examination shared that living in this area made them difficult to access to necessary health care services. When having health problems, they often visit private doctors or travel more than 10km to reach the district’s hospitals. “An array of locals rarely visit hospital for health checkup, there are even several elderly patients whom blood pressure has never been measured. Therefore, we are attempting to offer them the best examination and screening”, said Dr. Cao Doc Lap – Director of Hong Ngoc General Hospital. Locals were provided with examination and health care advices. 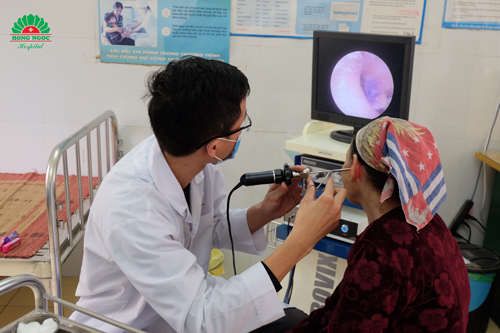 In the two days, Hong Ngoc General Hospital’s team of doctors and nurses examined for nearly 700 people in various aspects, including Internal medicine, ENT, Dental, Ophthalmology, and 2D ultrasound. The modern devices allow doctors perform further check-up. 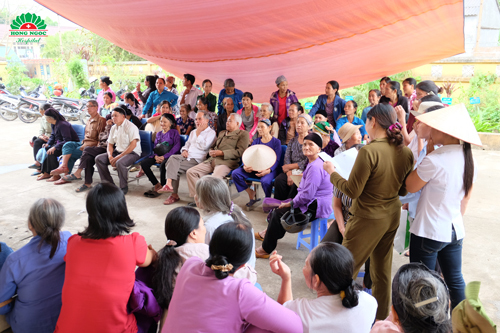 Ms. Ma Thi K, Minh Thanh commune, shared “I always have health problems yet due to financial difficulties, I could not visit hospitals in Hanoi for examination. Today, I’m so happy to be examined by doctors and receive free medications. I also bring my grandchild here for health check-up”. 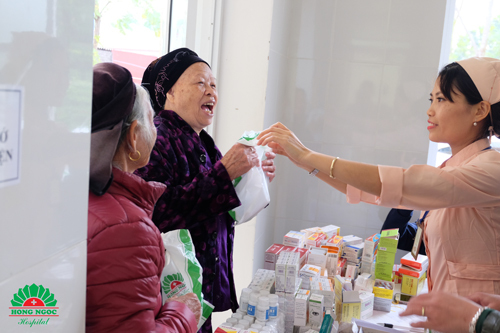 Some patients were so excited to receive free medications after overall examination. Apart from the provision of examination and medications, doctors also advised locals to change their habits and daily routine for a better life. “Some people do not have any routine of dental care. Whenever having a toothache, they totally ignore it or remove the teeth immediately, which leads to serious digestive problems”, said Dr. Nguyen Nguyet Nha. Dr. Nguyen Nguyet Nha advised an elder patient to care more about his dental conditions. Within the framework of Healing up Hands 2018, on 10 November morning, Hong Ngoc General Hospital in collaboration with Tien Phong Newspaper and Minh Thanh People’s Committee hosted a meeting to give gifts to disadvantaged students in the commune. 40 gift sets were offered to students of Minh Thanh Primary School and Minh Thanh Secondary School. The hospital hopes that these small gifts would encourage the children to study harder for their brighter future. 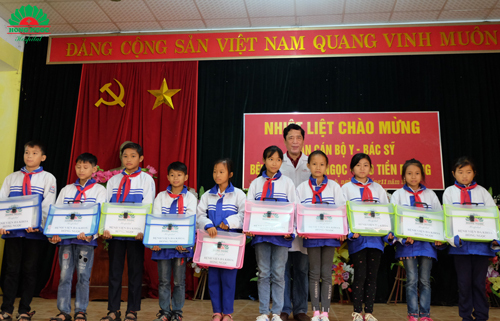 Students in Minh Thanh commune received gift sets from Hong Ngoc Hospital. 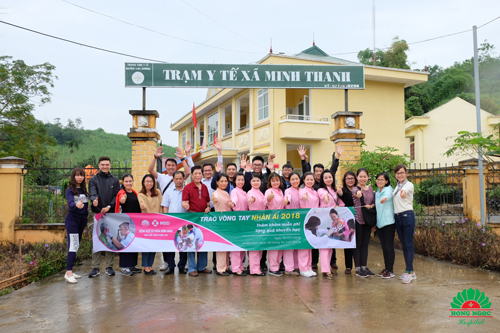 The Healing up Hands 2018 in Minh Thanh commune, Son Duong district, Tuyen Quang province successfully ended with smiles on the face of locals. The journeys which are fulfilled with love from Hong Ngoc Hospital will keep sharing love to the disadvantaged in other areas. Hong Ngoc General Hospital’s team of doctors and staff taking photo at the end of the program.